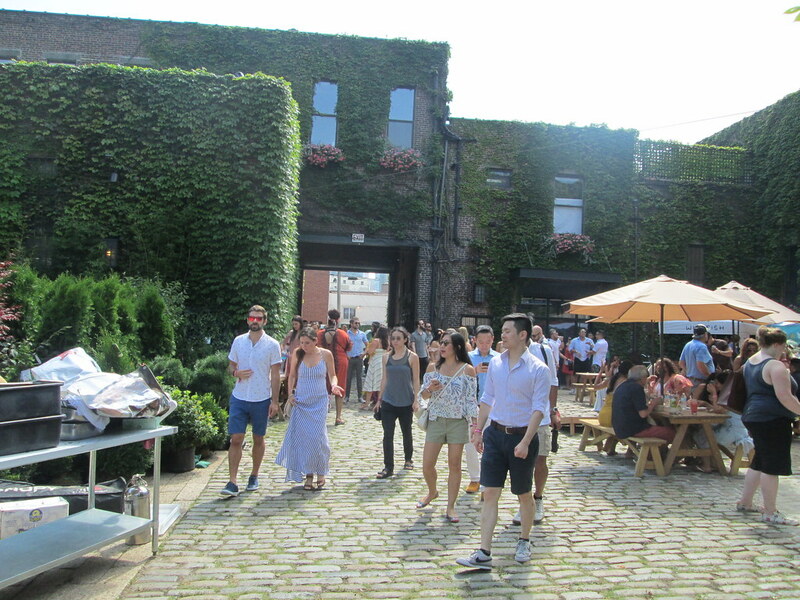 This past weekend, Secret Summer took court at the Foundry for their annual summer soiree, complete with spirits, bites and entertainment galore. 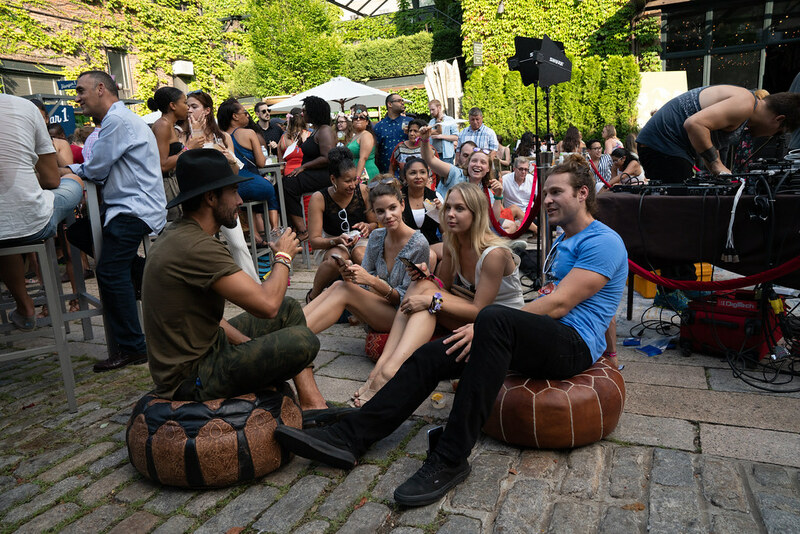 The event seemed to will away the rain forecast, and the space filled with around 800 guests, the largest Secret Summer event to date. Guests mingled with actors in character, while diverse performers played on the various stages. the Uprooted Flower Truck was parked at the front of the event, outfitting attendees with hand-crafted flower crowns suitable for the whimsical setting. 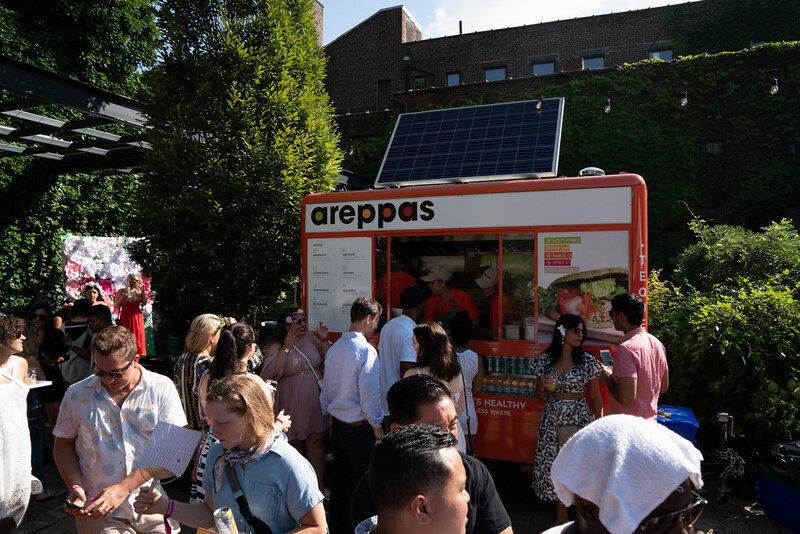 Areppas, The Choripan, Sophie’s Cuban, San Matteo, Wisefish Poke, Mama’s Margarita Salsa, My/Mo Mochi Ice Cream and Van Leeuwen supplied the food for the evening. 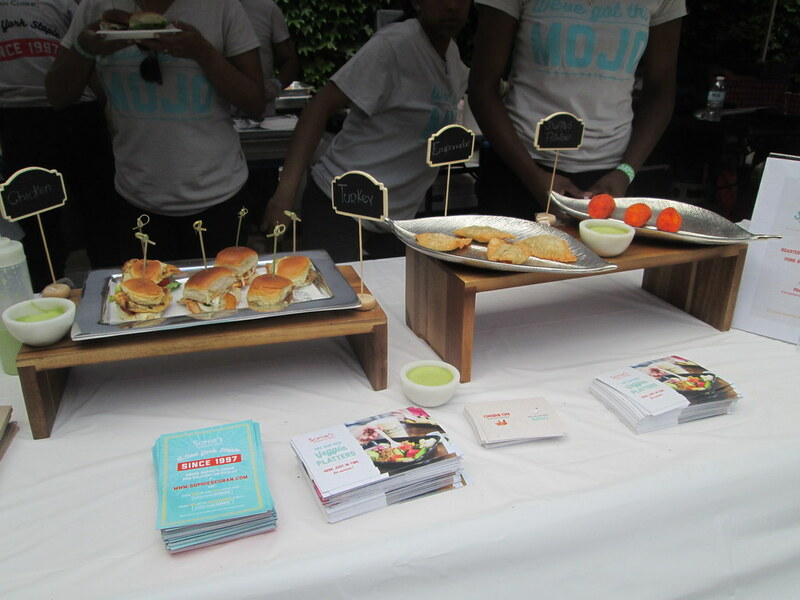 We personally tried Sophie’s Cuban mini sandwiches and Areppas empanadas, in addition to My/Mo Salted Caramel Mochi and Van Leeuwen’s Early Grey ice cream to help beat the heat. 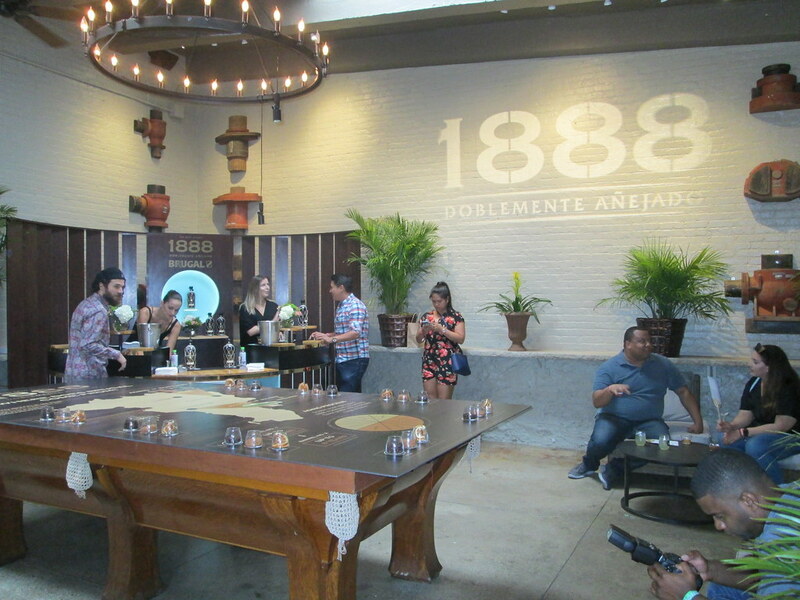 Brugal 1888 hosted a rum tasting in their own space, very much like they did at Aquarius. Hangar 1 Vodka upped the ante of their offering from Monday’s preview event with their Hanging Herb Wall. 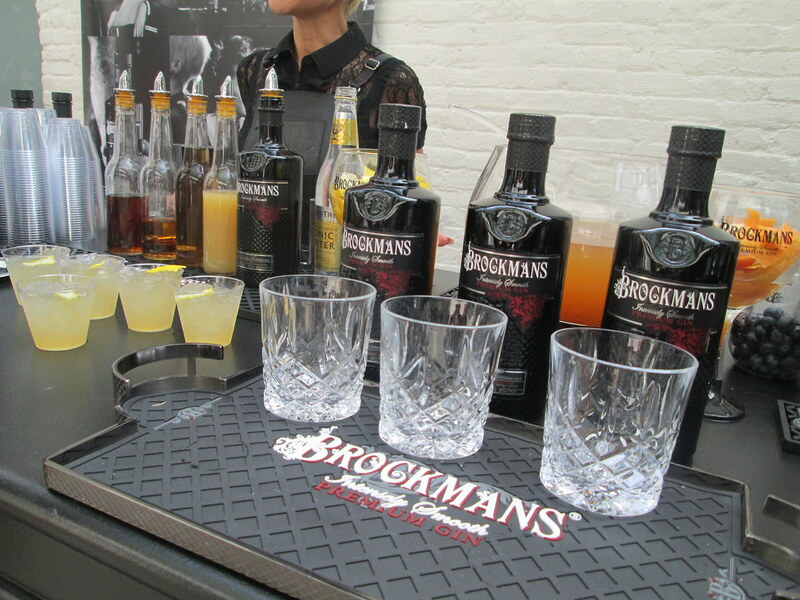 Brockmans Gin seemed to evoke the feeling of Mardi Gras in their room with beaded necklaces and their Earl of Wight served out of a punch bowl. 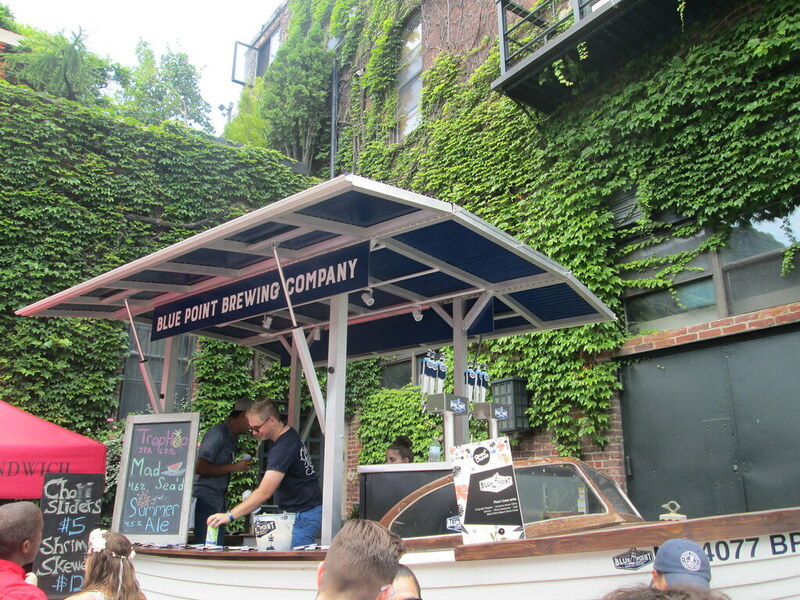 Blue Point Brewery served seasonal beers from an oversized yacht! 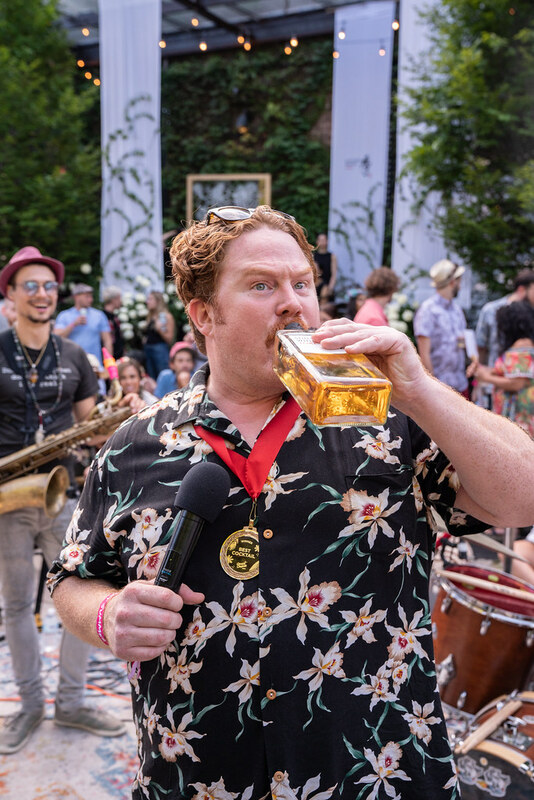 Suntory Whisky Toki, in addition to handing out hand-crafted origami flowers to guests, received the honor of best cocktail of the night, awarded by Man v. Food host, Casey Webb. Fentimans, Harmless Harvest, Urban Leaf, Polar Seltzer, Kevita, Rebbl, Patent Coffee and TÖST helped to keep guests hydrated in between cocktails. These were only some of the many offerings of the night. 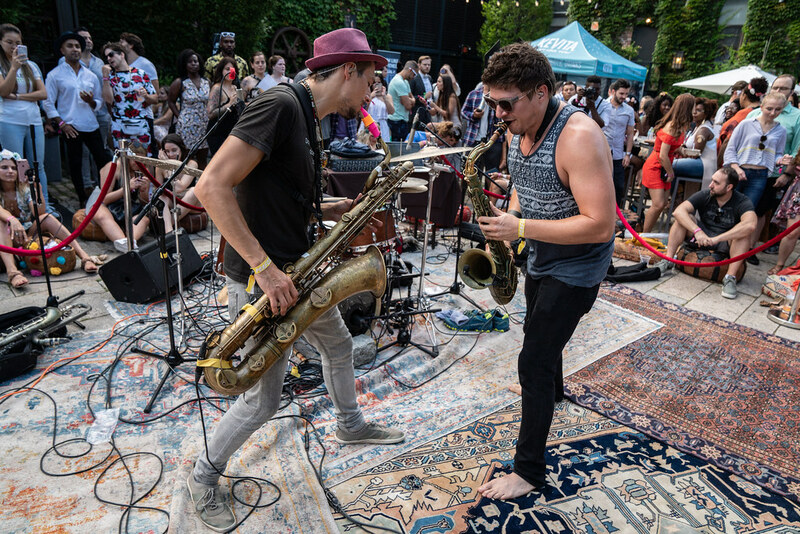 Music performances were provided by Sitar & Tabla, Hungry March Band, DJ Kieren Taylor, Kaoro Wantanabe Taiko Drums and Moon Hooch. As per usual, the brass bands were the performers that got the group up and moving the most! Guests could capture moments from the event at the plethora of photo booths set up around the space, our favorite from Bosco was one that made it look like we were in a music video! 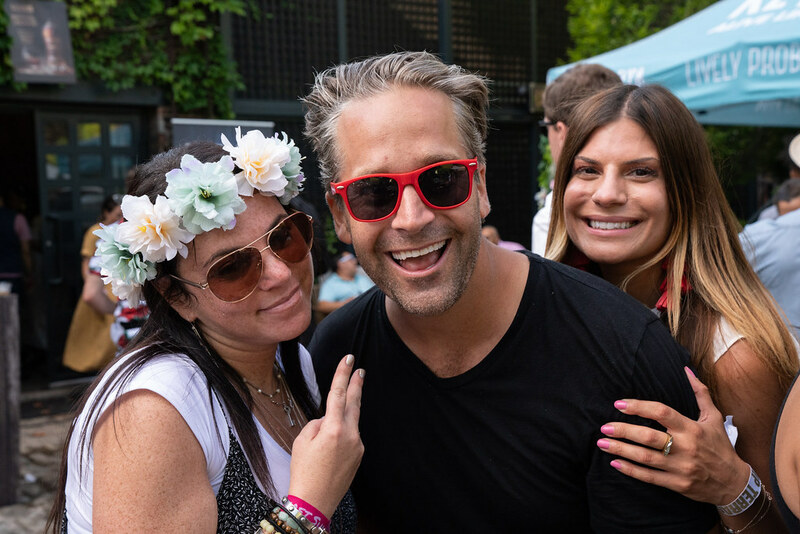 The afterparty took attendees down the block to the hottest rooftop pool, Profundo Pool Club at RAVEL Hotel, to close out the night. 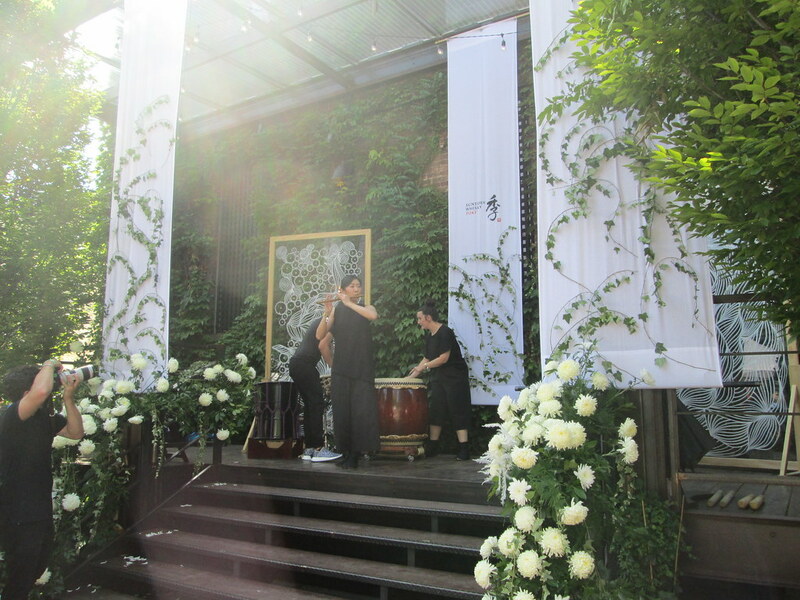 The space stayed open after the event exclusively for guests of Secret Summer and offered them complimentary access for a night swim and dance session. 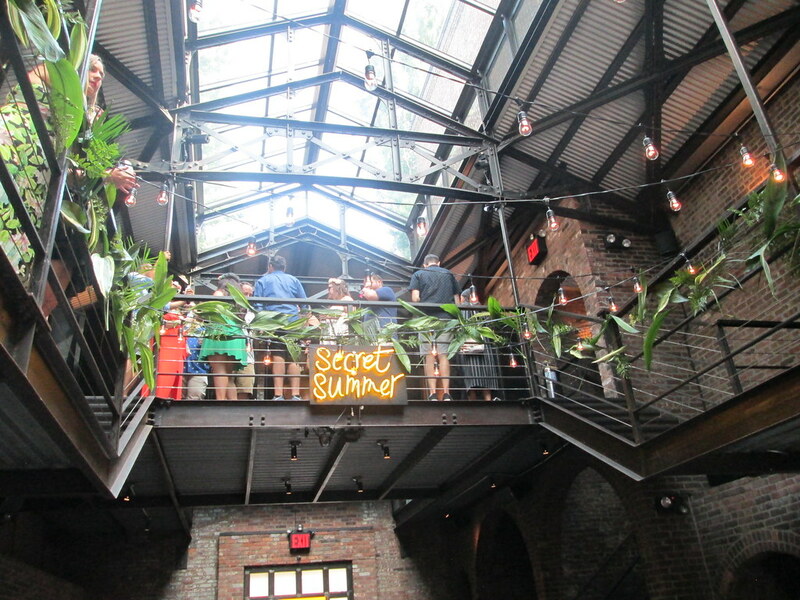 Secret Summer is the event of the season and one we look forward to every year. We can’t wait to see how they are going to top this in 2019!